two junior members from a group may attend Guild workshops at the member's price. Spread the word to schools, shops and groups in your area. We look forward to enjoying more junior quiltmaker entries at future member's exhibitions. Download a membership form (180KB pdf). Download order form. Orders received by 16th December 2009 will be dispatched promptly. 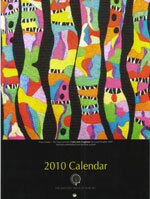 Orders received after this date will be dispatched after 10th January, 2010. Just send us a cheque or fill out the credit card particulars. (A fee of $1.50 applies to payments by credit card. )We look forward to your order. 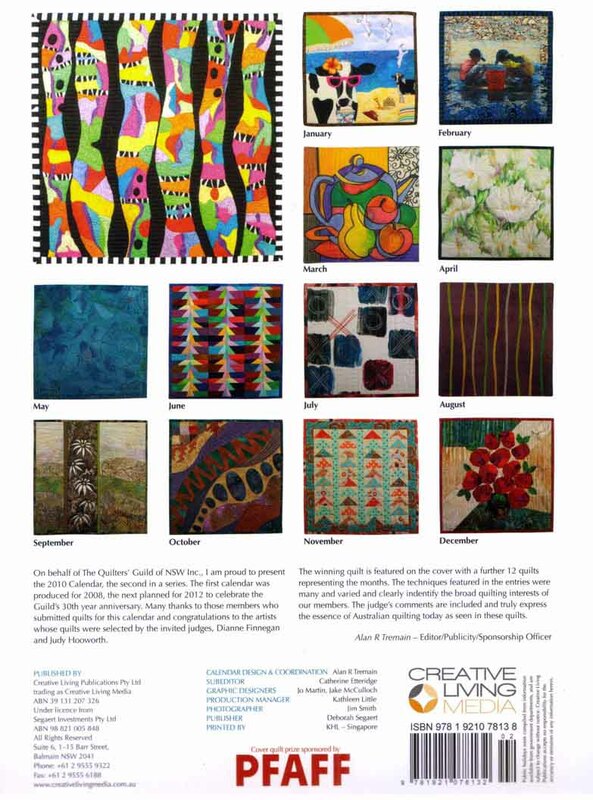 Bid-4A-Cause is holding a reverse auction of textile works to raise funds for the National Breast Cancer Foundation. On November 27 the auction will BEGIN – tell ALL your friends. There are 14 wonderful A4-sized textile artworks up for grabs. You can add an artwork to your textile collection for a fraction of the price that these artists work normally sell for. All money raised will be sent to the NBCF – no admin or artist’s fees will be required, so every cent you spend will go to this extremely important and worthwhile charity. 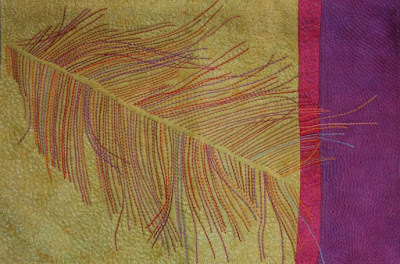 Several Guild members have donated textile works to Bid-4A-Cause including: Nic Bridges, Sue Dennis, Helen Godden, Jocelyne Leath, Caroline Sharkey, Erica Spinks, Brenda Gael Smith and Lisa Walton. Second prize was awarded to Carolyn Sullivan for Feathers Do! Judges commendations were awarded to Judith Thomsen and Brenda Gael Smith. You can view all thirty one entries and artist statements via the slideshow below. Thank you to everyone who participated. 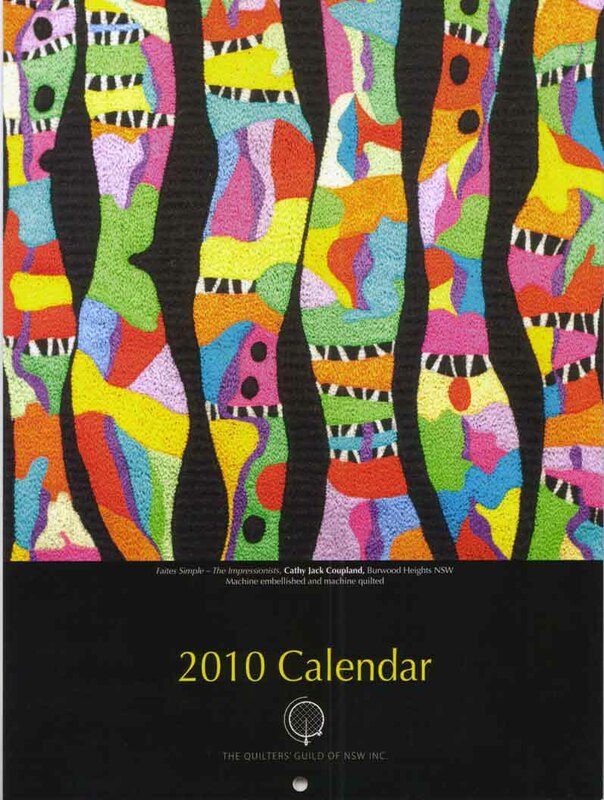 The 2010 challenge (which closes on 27 August 2010) is fabric rather than theme-based and each entry must incorporate the mystery challenge fabric. This fabric is available from the Guild office for $2.20. If you would like the fabric to be posted to you, please send your details to the Guild office along with 5x55 cent stamps. 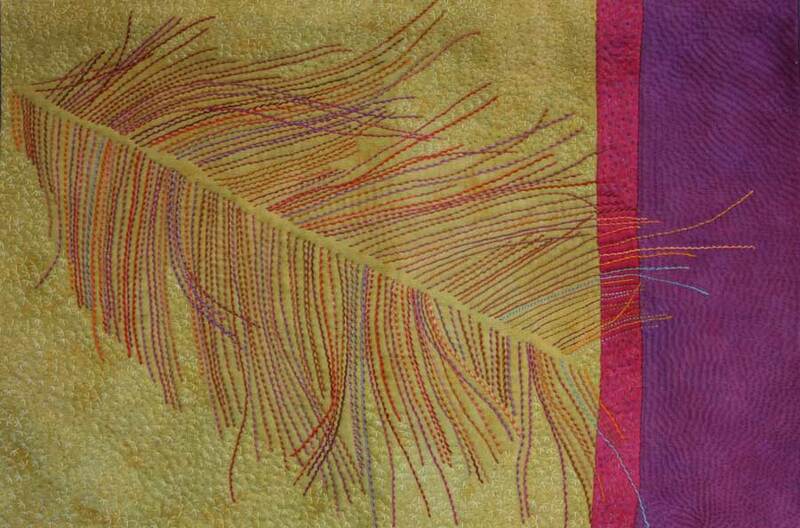 11am demonstration by Nancy Parkinson: Nancy will be demonstrating machine piecing without pins. This promises to be unique and simple, which will be a great help to those who shy away from curves. 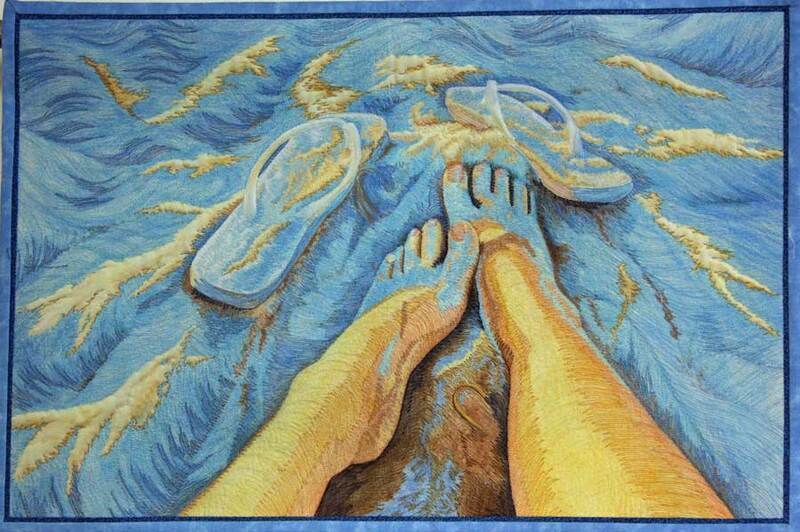 Guest speaker: Diane Groenewegen artist and collector will share her creative journey including printmaking. The "What Tickles Your Fancy" challenge quilts will be displayed for the first time at this meeting and you will have the opportunity to vote for your favourite . We will conclude with afternoon tea and exchange christmas greetings with fellow quilters. All welcome! This Saturday, the Powerhouse Discovery Centre at Castle Hill in Sydney is having a textiles-focused open day.Here is a brief overview of the day. For more detailed information about the day, go to the Power Museum website. volunteers involved in the conservation of the quilts. The final Sunday social meeting for 2009 is this Sunday, 15 November.